Precise Hearing has replaced this with the Starkey Wi i70. The Starkey Zon 7 is a digital open ear hearing aid utilizing receiver in the canal (RIC) sound delivery. Starkey’s proprietary advanced sound processing technology, BluWave SP, is offered in all three levels of the Zon open ear hearing aids. 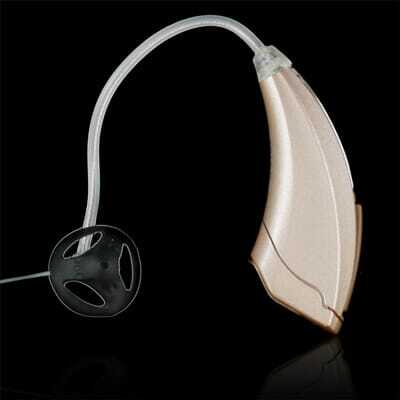 Zon 7 leads the hearing aid industry in feedback reduction technology. BluWave SP demonstrates feedback cancellation beyond the capabilities of previous technologies. This means the Starkey Zon 7 can offer more stable gain in high frequencies (above 1000 Hz) commonly associated with noise damaged hearing loss. Digital Speech Detection (DSD) gives Zon 7 wearers an advanced directional microphone system designed to automatically detect speech in difficult sound environments. BluWave SP also gives wearers of Zon 7 automatic detection of the telephone and seamless switching to a telephone mode optimized for clarity of telephone conversations.